The Occupational Safety and Health Administration, or OSHA, is the governing body overseeing the implementation of workplace safety measures. It organizes these measures through various regulations, all of which employers need to be concerned with. As of yet, OSHA does not have particular regulations in place for heat safety, but that doesn’t mean employers can slide on protective measures. OSHA’s General Duty Clause requires employers to be aware of and remove recognizable hazards that are likely to cause serious harm or death to their workers. OSHA considers excessive heat, both environmental and labor-induced, to be among those recognizable hazards. As such, it is the employer’s responsibility to account for the heat and take the appropriate steps to neutralize its effects on employees. OSHA may not have a regulation dedicated to heat safety, but it has published materials detailing how to best approach it. These materials should be of interest to any employer that wishes to maintain OSHA compliance regarding heat safety. OSHA recommends greater levels of awareness and intervention as the heat index climbs. The heat index takes into consideration both air temperature and relative humidity. As humidity rises, the body’s ability to wick off heat using sweat worsens, so it’s more difficult for workers to mitigate heat caused by labor. As air temperature and humidity rise, it is up to the employer to offset the increased danger with additional resources. Provide workers with a shaded rest area – Once the heat index climbs above 90 degrees, heat illness becomes a real possibility. Lower heat indexes can also be a concern if the worker is outfitted with impermeable protective gear, including gear designed to protect against chemical or biological agents. As soon as the heat index passes the 90-degree threshold, or when workers are expected to don heavy, insulated gear, OSHA strongly recommends employers provide their employees with shaded rest areas. This area should be shaded at all times, so it should be comprehensive enough to keep the sun from intruding at any point of the day. It’s also best to set the rest area up where it will be unexposed to warm breezes, which can accelerate the onset of heat-related illnesses. A shaded tent is an example of an appropriate rest area. Its mobile design and contained environment is ideal for establishing a cool area, regardless of the location. Tents equipped with air conditioners or heavy-duty fans can offer the ideal base for workers in need of cooling. Provide workers with plenty of potable water – OSHA recommends water that is between 50 and 60 degrees, and between four and six cups of it every hour. Water consumption should begin before the worker notices thirst, as it may be too late to prevent dehydration once the worker becomes thirsty. There should always be drinking water available, so employers must have procedures in place to ensure supplies are replenished with regularity. Workers, and particularly workers who are new to working in the heat, should be encouraged regularly, and firmly, to drink plenty of water. Most incidences of occupational heat-related illnesses occur among inexperienced workers, as they may not be accustomed to working in the heat. Monitor workers continuously for signs of heat illness – When the heat index climbs above 90 degrees, supervisors should ensure that all heat safety measures are being observed. Shaded rest areas should be utilized, plenty of water should be consumed and other cooling methods taken advantage of. As the heat index climbs even higher, it is imperative that worksites have experts on heat-related illnesses available. These experts should be able to recognize the signs of heat illness right away and know how to administer first aid to workers experiencing symptoms. The expert should also recommend changes to work schedules in response to dangerous conditions. In short, there should be someone at the worksite who will ensure workers are safe and following protocols related to heat. At higher heat indexes, medical facilities should be available within minutes. If they aren’t, then it is the employer’s responsibility to have resources on hand to treat any heat illness that emerges. If the heat index climbs above 115 degrees, or if workers are fitted with heavy, insulated gear for long stretches of time, then additional, significant measures to prevent heat illness must be deployed. This includes physiologically monitoring workers, regularly checking their heart rate, temperature and other vitals that may indicate overheating. Workers should be acclimatized to an extreme environment like this prior to taking on a full workload. Provide cooling measures, for both preventative and curative situations – When the heat index passes 103 degrees, it’s important that employers consider personal cooling methods. This will protect workers who must remain in the sun for extended periods of time, and workers who cannot access rest areas as often. Personal cooling may be as simple as clothing that has been dampened with water, or something a bit more advanced, like misting stations. Reflective clothing and vests with cooling packs are also effective. If heat illness does appear, then immediate steps must be taken to prevent permanent injury (or death) to the worker. This includes rapid application of wet cloths, transport to a cooled room, administering fluids and immersion in an ice water bath. As this scenario may cause unconsciousness, it is critical that measures are in place to handle an unconscious person. Pair workers together while they are exposed to heat – The signs of heat illness can creep in slowly and may not be noticed before they become serious. Using a “buddy system” can help worksite managers detect heat illness faster, which may make the difference in keeping workers safe. 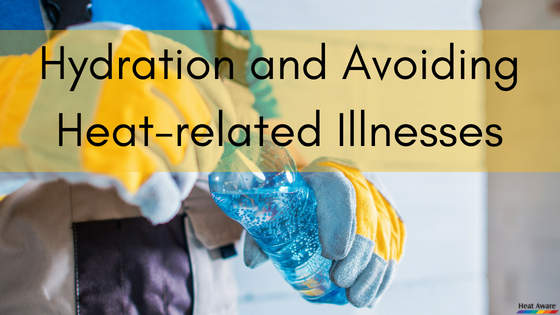 Heat-related illnesses are potentially deadly, and it is up to employers to neutralize hazards before they materialize. Adhering to OSHA recommendations will go a long way in doing this as they provide an excellent starting point. Heat-related illnesses, most often in the form of heat exhaustion and heat stroke, are serious threats to worker safety. Every year, excessive heat kills dozens of U.S. workers, and incapacitates many more. Although it doesn’t have to be this way because with proper education, monitoring and worker safety procedures, heat illness can be avoided. It’s critical that serious heat illness be avoided on job sites because even if a worker is revived, they can face long-term complications that can affect their quality of life. Ideally, worksites should be equipped with plenty of educational and reference materials so workers are constantly reminded of necessary precautions regarding heat. It is essential that site managers have this knowledge down pat so they can make sure their crew takes proper precautions when outside temperatures and heat indexes climb to dangerous levels. Less than 90 degrees Fahrenheit – No work restrictions or fluid intake measures are required. Intake fluids as needed and rest as needed. Between 90 and 94 degrees Fahrenheit – Workers should rest 10 minutes out of every hour and take in between 12 and 24 ounces of fluid. Between 95 and 99 degrees Fahrenheit – Workers should rest between 10 and 20 minutes out of every hour, depending on how strenuous their job is. Fluid intake should measure between 24 and 36 ounces every hour. Between 100 and 104 degrees Fahrenheit – Rest at least 20 minutes every hour, and more if needed. Take in 36 to 48 ounces of water every hour. Between 105 and 109 degrees Fahrenheit – Workers should get at least 40 minutes of rest hourly and take in between 36 and 48 ounces of water per hour. When temperatures rise above 109 degrees Fahrenheit work should only proceed under the watchful eye of Health and Safety professionals. As outlined above, extensive hydration is needed to maintain safety, and it should be reinforced with clear reference heat cards, heat index posters and the like. Heat exhaustion – Symptoms include excessive thirst, nausea, dizziness, weakness, excessive sweating, decreased urine output, headache, irritability and high body temperature. Heat exhaustion can be triggered by physical exertion in hot and humid weather and is the result of loss of electrolytes through sweating. Sweating pulls both fluids and electrolytes from the body, and they must be replenished to ensure continued cellular function.Most consider heat exhaustion to be a transition step to heat stroke, so aggressive treatment measures should be undertaken if it manifests. Fortunately, with prompt treatment, recovery is promising and rapid. Get the worker to a cool place, have them shed any extra clothing and cool them off with fanning or wet towels. Make sure to give them fluids, but only if they are awake and not confused. Intravenous fluids are an option if the worker is unresponsive. Heat stroke – Heat stroke produces most of the same symptoms as heat exhaustion, though disorientation and lack of sweating are also present. Heat stroke emerges when the body’s core temperature rises in excess of 105 degrees Fahrenheit, and at this temperature, cellular damage and, by extension, organ failure, is expected in 30 minutes. When the body is stressed with this much heat, proteins inside the cells denature (or lose their physical properties). As a result, the cells lose their structure and leak their contents into surrounding tissue. This can occur throughout the body, so mass organ failure is expected if treatment is not prompt and extensive.Reducing body temperature is the primary goal when heat stroke is present. In fact, it should be attempted before transporting the worker to a medical facility. Move the worker to a cool place and engage in aggressive mechanical cooling. Ideally, the worker would be placed in an ice bath, taking care to monitor the worker at all times, especially if they are unconscious. If an ice bath isn’t available, apply wet, cold towels to the body and head. Intravenous fluid delivery will likely be essential to rehydrate the worker. Heat stroke should be avoided at all costs. Even if the worker is rapidly resuscitated, serious, long-term complications can emerge. Mortality rates following heat stroke rise dramatically for recovered patients, suggesting that even after recovery, permanent cellular damage is still present and capable of interfering with the body’s normal functions. Research into heat stroke patients has found that functional impairment and loss of independent function are potential outcomes following recovery. Fortunately, heat exhaustion and heat stroke can be avoided outright if employers take them seriously. Stay educated on heat-related illness awareness and provide plenty of information and hydration options for workers on the job site.